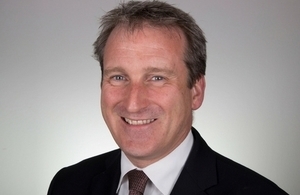 Opportunities and job prospects for young people in the North East of England are to be addressed by a multi-million pound government investment to boost social mobility and raise aspirations for children, announced today (Monday 8 October) by the Education Secretary Damian Hinds. Launching Opportunity North East, the Education Secretary has pledged £24 million to tackle issues holding young people from all communities back and that can risk areas feeling “left behind”. While the North East has some of the best performing primary schools in the country, secondary school performance is significantly below other regions, and fewer 18-year-olds attend the country’s top universities than those from any other part of the country. The North East also has one of the highest proportions of young people not in education, employment or training after year 11. • Investing a further £12 million to boost early career training for new teachers and help improve the quality of teaching and raise standards in the region’s schools, ahead of roll-out in other regions. During his visit later today, at a roundtable discussion in Gateshead, Mr Hinds is also expected to challenge education experts, head teachers, business leaders and university leaders by asking each group what more they can do to “raise aspirations among all working class communities, including white British disadvantaged children”. He will cite research by the Institute for Fiscal Studies, which found white British disadvantaged boys are the least likely of any ethnic group to progress to university. It found groups with the next lowest progression rates – disadvantaged black Caribbean males and males from a mixed ethnic background – are around twice as likely to progress to higher education compared with their white British disadvantaged peers. "Talent and potential are evenly spread, but opportunities sometimes aren’t. With Opportunity North East I am going to work with schools, colleges, businesses and universities – including those beyond the area – to redress the balance. "There are today too many education measures on which the North East is listed ninth in the list of nine English regions. It doesn’t have to be like that. In fact the North East has a lot of really outstanding education – especially so at primary level. The job now is to spread that through more of the secondary level and beyond. "It’s absolutely right that we challenge ourselves to do things like increasing access to university for young people from black and minority ethnic communities but we must remember that disadvantage is not limited to a single group. "White British disadvantaged boys are the least likely of any large ethnic group to go to university. We need to ask ourselves why that is and challenge government, universities and the wider system to change that. "It’s vital that we do this to make sure that no part of our country feels as though it has been left behind, and that every community feels like this is a country that works for everyone." Today’s announcement is part of a government drive to improve education and boost productivity in the North of England, and follows on from investment in the Northern Powerhouse strategy. The programmes delivered through Opportunity North East build on the Government’s efforts to create more good school places in the areas that need them most through the free schools programme. Opportunity North East will tackle issues that are specific to the North East, which had the lowest percentage of young people going to top universities in 2017. • Working with partners such as Teach First to ensure there are more great teachers where they are needed most. The North East will be the first region in England to implement more support for newly-qualified teachers to encourage them to stay in the classroom, with £12 million for early roll-out of the Government’s improved offer from September 2020 – and more details set to be announced in the Department for Education’s recruitment and retention strategy. This will form part of the Teacher Development Premium, creating an enhanced offer of professional development for teachers in challenging areas throughout their careers. • Make the most of young people’s skills and talents in the North East – harnessing the pioneering work of local enterprise partnerships – to help them find a rewarding, secure job. The Government will also ensure that the North East benefits from other programmes including: a new investment to spread good practice in behaviour management; through the National Citizen Service programme to build character and resilience in young people; greater recognition of young people’s achievements through the Lord Glenamara Memorial Prize; and improved Careers and Enterprise education. Projects funded through the Opportunity North East programme will be in place in 2019 and will look to build on the work already underway in the region. Education, business and council leaders in the North East, among others, will form an executive board to drive the project forward and raise education standards – reporting directly to Parliamentary Under Secretary of State for the School System Lord Agnew. The board will be appointed shortly, following the roundtable hosted by the Education Secretary. "Atom bank is delighted to offer its wholehearted support to this exciting and very welcome initiative. As a business with national ambitions but founded and headquartered in the North East, Atom is determined to be a positive influence across the region. We are especially focused on enhancing opportunities and education for young people growing up in the region. "Atom is already the Prince’s Trust lead partner for STEM in the North East as well as establishing many research and training links with the region’s universities. The Secretary of State’s decision to establish Opportunity North East is a huge opportunity to change the future for hundreds and thousands of young people in the region and ensure that they have the chance to meet their own – and the region’s – full potential." "I’m really excited about the opportunities that this new exciting initiative and significant investment will bring to our region. Everyone now needs to work closely together to create, develop and implement a coherent and effective plan that harnesses this initiative in a way that will improve progress, raise attainment and add value to our young people’s life chances. "We have some fantastic leaders, teachers and young people in the North East who I know will fully embrace and use the enhanced resources and support that this transformational strategy will provide. I cannot wait to get started." "We have some fantastic schools in the Tees Valley that are driving up standards so more young people develop the knowledge they need to succeed, and attain the skills our businesses need to thrive. We’re working hard to develop home-grown talent to support our growing economy, but there’s still much more to do. "This additional investment from government will go an exceptionally long way to help our schools tackle the challenges that they face, raise student aspirations and good quality education. Working with local authorities and business leaders, we will ensure our young people are given every opportunity to fill the high-quality jobs of tomorrow." "The North East LEP is committed to reducing the gap between our best and lowest performing secondary schools and to improving social mobility for our young people. "Across primary and secondary schools, we have the second highest proportion of outstanding schools. We also have the second highest number of schools rated less than good after Yorkshire and the Humber. It’s this disparity that we are tackling by supporting teachers, governors, schools and leaders. Ensuring the next generation has a clear pathway to achieving their full potential is a fundamental part of our Strategic Economic Plan. "I am delighted with today’s investment announcement and recognition by the government of our ambition to drive up student attainment levels. This funding will allow us to accelerate and build on our existing activity in this area and make a real difference to the lives of each and every young person in the North East." By challenging universities, local schools and colleges, and innovative local businesses in the North East to work together, the Government will create a network that will raise standards, encourage pupils to aim high when applying to higher or further education, and support schools and colleges to deliver new T Level qualifications from 2020. A challenge will also be made to employers, and especially top universities outside the region, to ensure they make the most of North East talent. The announcement of more support to recruit and retain talented teachers comes after the Government launched a free website for schools to advertise vacancies – which currently costs schools up to £75 million a year – with schools in the North East and Cambridgeshire given access to the site ahead of a nationwide launch. The Education Secretary will also visit Durham University to hear more about its proposals to open the North East’s first maths schools to offer specialist teaching for talented A Level students – following in the footsteps of successful schools opened by King’s College London and the University of Exeter.